YC&AC ensured a berth in the semi-finals of the KCL with an impressive performance that is worthy of a great team. With just one match remaining, they won all the 4 matches they played so far with one wash out. Incidentally, the wash out was against the mighty Tokyo Giants, perhaps the only team that could have challenged the YC&AC’s bull run. From Group A, the other likely semi-finalist is Tokyo Giants, another team that is bulldozing their opponents. The Giants have also won all their outings so far. YC&AC is leading the points tally in Group A with 18 points out of 5 matches while the Giants have 12 out of 4 matches. The Indian Engineers are the third in the list with 12 points again but they have played one match more than the Giants. In Group B, Al Karam, a likely semi-finalist, leads the pack with 9 points but unfortunately for them 3 out of the 4 matches scheduled were washed out. Add to that they also earned a penalty point having failed to perform their umpiring duty. A total of 10 matches have been lost to rains this year so far. Meanwhile, in Kansai, many matches were washed out. Latest results are available here. The Canadian federal government announced it was officially recognising cricket as a sport, elevating its formal stature and making it eligible for much needed public funding, Toronto Star has reported. The recognition, which follows a decade of lobbying, means an immediate grant of $77,000 for 2007-2008. England batsman Kevin Pietersen fears the Twenty20 storm that has swept the cricket world will, in all probability, spell the end of ODIs in the next couple of years. “I definitely think the longer form of One-day cricket will, in a couple of years, probably be something of the past,” Pietersen said. “For sure. The way that cricket is going now, Twenty20 is definitely here to stay. We are entertainers. Everybody, I think if you asked them, would rather watch Twenty20 cricket,” he added. Indian cricketer Yuvraj Singh will present the Man of the Match award at the Euro 2008 football match between Switzerland and Portugal in Basel on Sunday, a sponsor said. Indian cricketers have rarely shared the spotlight at a top-level football meet, but Yuvraj’s presence in Basel is part of a global promotion by beer manufacturers Carlsberg, one of Euro’s sponsors. Indian One-day captain Mahendra Singh Dhoni was the original choice for the Basel trip, but declined citing prior commitments. thatsCricket.com, launched its live Cricket scores coverage in 5 Indian languages. Cricket fans and followers can now get live updates in Hindi,Tamil, Telugu, Kannada and Malayalam. Live scores in Indian languages can be accessed at thatsCricket.com whenever there is a cricket match in progress. The language options are available for both ball-by-ball updates and the full scorecard. Readers Digest. Warne, who retired from test cricket last year with a record 708 wickets, came 95th in the list of 100 names. Seeking to sooth Kapil Dev’s hurt sentiments, the Punjab Cricket Association (PCA) on assured the World Cup winning captain that his memorabilia is being preserved “in the most befitting manner” and his mural, which was removed due to construction work, would soon grace the Mohali stadium again. Kapil’s memorabilia and his mural were removed from the stadium, sparking speculation that the PCA is taking a revenge on him, he having joined the ICL, the IPL’s rival. Bangalore Royal Challengers’ owner and liquor baron Vijay Mallya is still smiling despite his team finishing his team second last. The reason – the IPL champuins, Rajasthan Royals, is a team sponsored by his company. Australian opener Phil Jaques said a recent hi-tech laser surgery for his eyes had helped his batting and fielding. “I found that (seeing) high balls was heaps better”, he said. The YC&AC defeated Sri Lankan Lions by 5 wickets to lift the annual Air Lanka Cup on June 15. Batting first, the Lions scored 251 in 37 overs, powered by Sujit Dharmasena’s unbeaten 95. The YC&AC then successfully chased the target for the loss of 5 wickets. 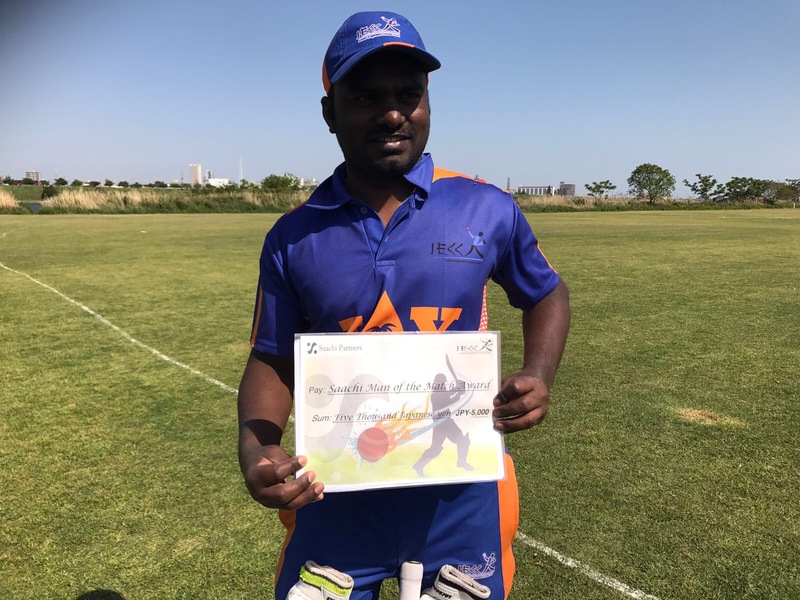 Prashant Kale of YC&AC was declared man of the match for his 63 not out, while Steve Parson(57) and Abdul Rahim(37) were the other contributors for the YC&AC. The Air Lanka Cup is an annual series between the YC&AC the Sri Lankan Lions. This was the year of the series. We recently received a question as follows: How come YCAC has gone down in the rankings after winning all our games? Editor**: We understand that this may be a question many people are asking themselves. A team may appear to go down in the ranking despite having wins in that month or inspite of little or no difference in the points they have in that month as compared to previous month. This is not because your team’s stats are bad but because some other team went up in the table in that month. 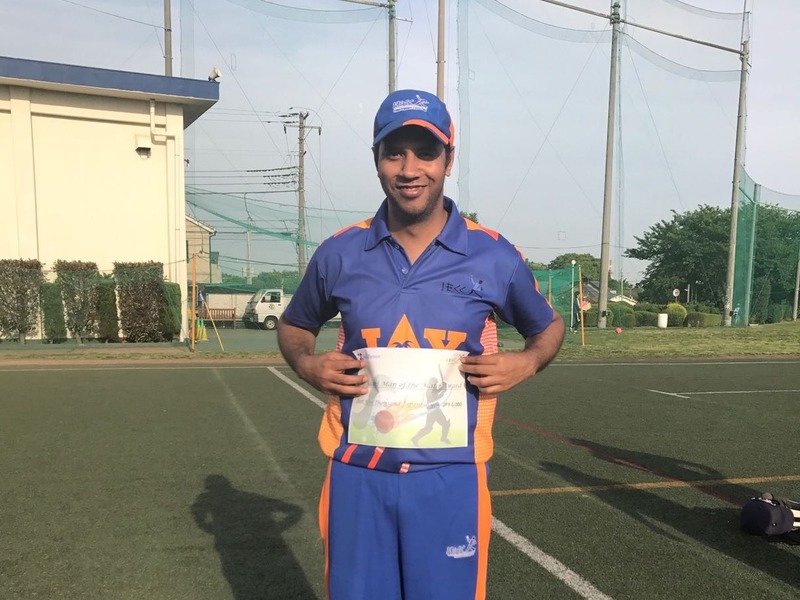 For e.g., Wombats(ranked 8 in April) went up (ahead of YCAC) in May month because they beat Wyverns(ranked 4), earning 1 bonus point(4×0.25) in that process. The other reason is that the rankings are based on the results at the end of the previous month so even if a club played and won a few matches by the time the Newsletter went online, they wouldn’t be counted for the previous month. Do you support Stanford’s winner takes all and loser gets nothing approach in Stanford 20/20? Ricky Ponting fears for the future of Test cricket because of 20/20. Do you agree? I don’t know who writes your newsletter but kudos to whoever it is. The humour and the contents are excellent. The only unfortunate thing being that it should be more frequent !! Keep it up! 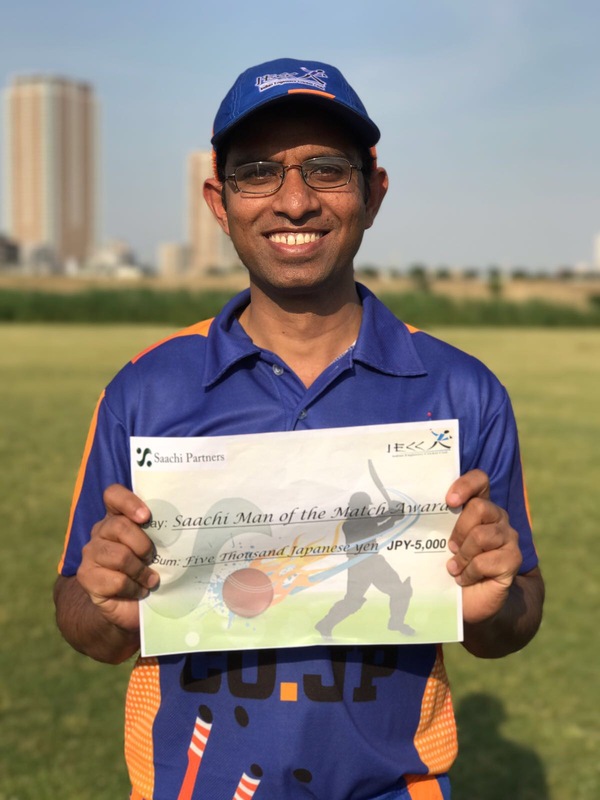 I enjoyed the WCL Div 5 write up! Japan are basically a big fish in a small pond (EAP), but just a little minnow out in the big blue (WCL). How will they respond to this setback? Regarding the views expressed in Newsletter #86 under the heading “Japan struggles to find it’s place”, I was disappointed that the normally interesting and reliable IECC Newsletter let itself down with some poor research. I can assure your readers that both grounds were fully utilised on June 8th. Wyverns vs Sharks was played Fuji2 and Fuji Far vs Adore was played on Fuji 1. Both games were played in difficult wet conditions early on and were fine examples of the Spirit of Cricket. And I (and maybe some other keen readers) would like to see who the IECC Newsletter deems to be the “… undeserving individuals being selected in the national team” and how they come to the conclusion that these individuals are undeserving? Editor** We can confirm that one or both of the Fuji grounds was/were lying vacant on Saturday June 7. In addition to that many teams from Tokyo, including the Indian Engineers, are reluctant to go to Fuji due to the high ground fees. As for the national team selection, when you don’t select a deserving individual(note that we are not making any references here) the converse will become true – an undeserving individual will get selected in his place. Good piece on JCA. I agree that if the Fuji ground fees were less, more teams could use the ground. 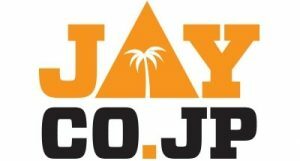 The JCA should understand that most of the teams are located in and around Tokyo and hence should have taken the traveling cost also into account while deciding the ground fees. This was found on Youtube and you can only reply on the comments attached to it derive how this batsman got out. One of the comments says it is a Surrey vs Leeds match at The Oval, 15th April 2007. The batsman is Tom Merilaht, the wicket-keeper is Jon Batty, and the bowler is Mohammad Akram. The scorecard for the game records the dismissal as caught behind. The umpire at the bowler’s end is Ian Gould. “In an era of instant gratification, of limited overs cricket and impatient youth, ‘hang in there’ is a bit like Levis jeans and dot matrix printers; it’s about what your dad did!” – Harsha Bogle in the Indian Express. 1. Australian opener, Michael Slater, is said to have tried to flush his kit in a toilet when he was going through bad batting form. 2. Ricky Ponting had a bat sponsorship at the age of 12.